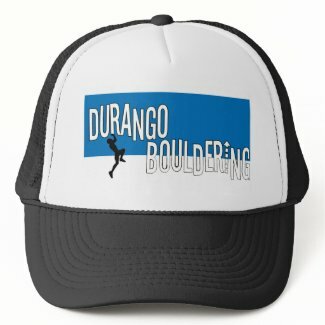 Durango Bouldering Everything you need for a bouldering trip to Durango, CO! 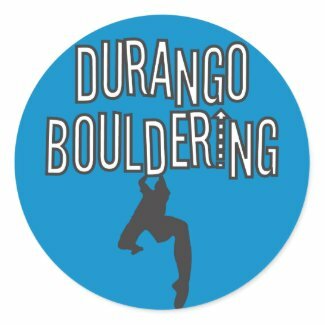 This first edition Durango bouldering guide, published by local climbing guru and our very own Pine Needle Task Master, Ian Allison, will finally allow climbers to relate problems being worked with greater ease than, “you know dude! 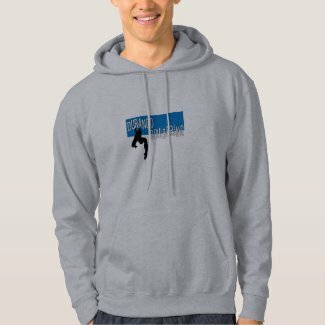 It’s the one with a greasy left pinch and then a wild throw out right.” Well… hopefully it doesn’t eliminate the challenge of going through the motions of each problem while describing them, as that is half the fun, but at least the book will allow us to meet at the right v4 every time. The book even goes so far as to highlight a few of the author’s own personal bouldering develop­ments. 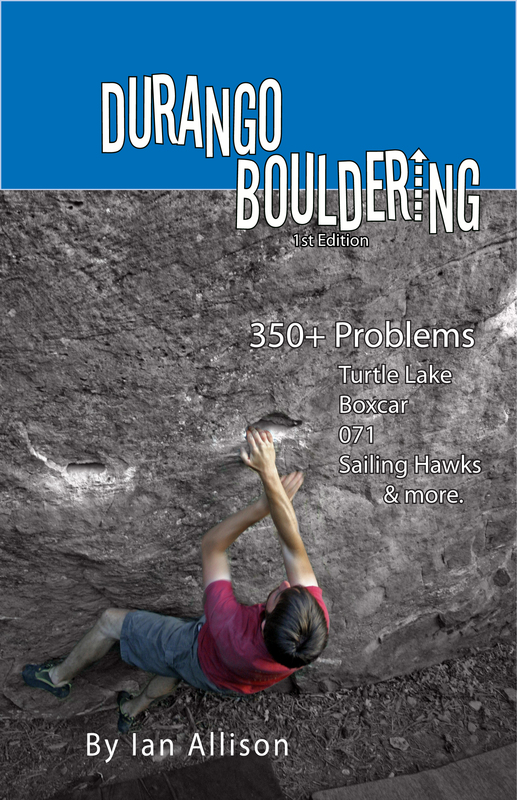 Full color and covers areas like: Turtle Lake, Sailing Hawks, Boxcar, 071 and more!!! 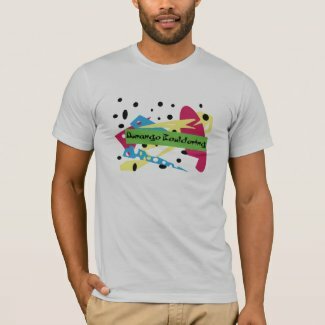 make money as an artist using Zazzle. How do I purchase the guide? 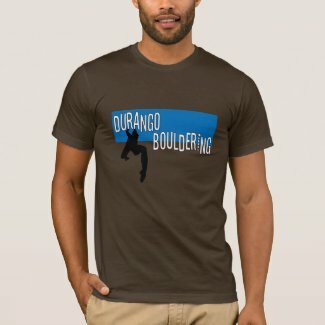 It can be purchased thru one of the climbing shops in Durango (Pine Needle Mountaineering, Gardenswartz, or Backcountry Experience), at Bent Gate in Golden, CO, Neptune in Boulder, CO, or by emailing me at durangobouldering@gmail.com.